No one wants to feel helpless in an emergency situation. 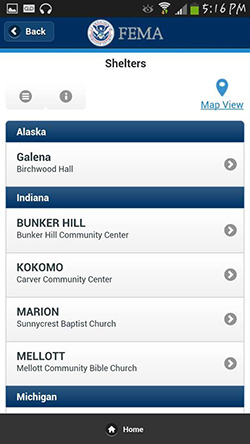 To provide tips and assistance anytime, anywhere, the Federal Emergency Management Agency (FEMA) stepped up their mobile game. FEMA developed an SMS service and an app to engage with users while they’re on the go. The app is available on Android, Apple and Blackberry. While the SMS service is limited to alerts and searches for nearby shelters, the app offers additional functionality, including the Disaster Reporter crowdsourcing feature. During the Boulder, Colorado, flooding in 2013, people used Disaster Reporter to capture geo-tagged photos of the disaster area. 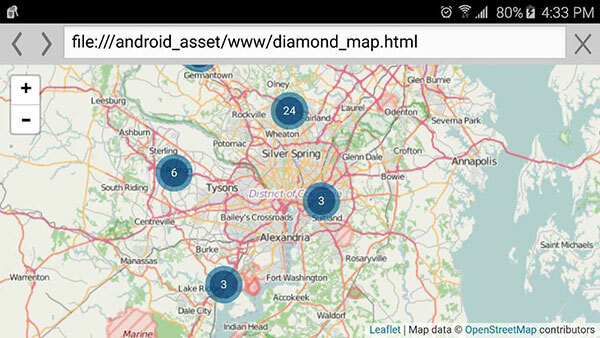 The Disaster Reporter data is publicly available and can be of significant use to cities’ first responders. Some of the photographs shared through the app are by professionals, but most come from the public and go through a privacy screening process, as recommended by the FEMA privacy office. During screening, photos are eliminated if personally identifying information is shown, such as license plates and street addresses. Tina Adinolfi, Chief of the Disaster Management Branch at FEMA, said FEMA noticed several spikes in app downloads and SMS shelter searches during recent severe weather events in the Midwest and Southeast. Additionally, FEMA’s analytics showed many current users were accessing their services more often. FEMA also developed a push notification functionality that allows users to receive weather alerts based on their selected location. FEMA uses an API, which calls weather alerts from the National Weather Service (NWS). FEMA has been marketing their services through social media. When the Disaster Reporter feature was released, FEMA promoted a video on their YouTube page, where they also regularly add new material. As good user experience is a promoter within itself, FEMA has conducted usability studies and plans on doing more. In the future, FEMA hopes to integrate more analytics in order to improve their services for users and first responders. The team is also always brainstorming and researching ways to make the app as functional as possible for citizens as they go about their regular day. They also take into account user feedback about the app.